If you’re a long-time skier, it may be intimidating to switch snow sports, but the feeling of floating your snowboard over a fresh powder is indescribable—and worth experiencing. While the initial learning curve may feel a little more challenging than what you’re used to, mastering something new can be exciting. 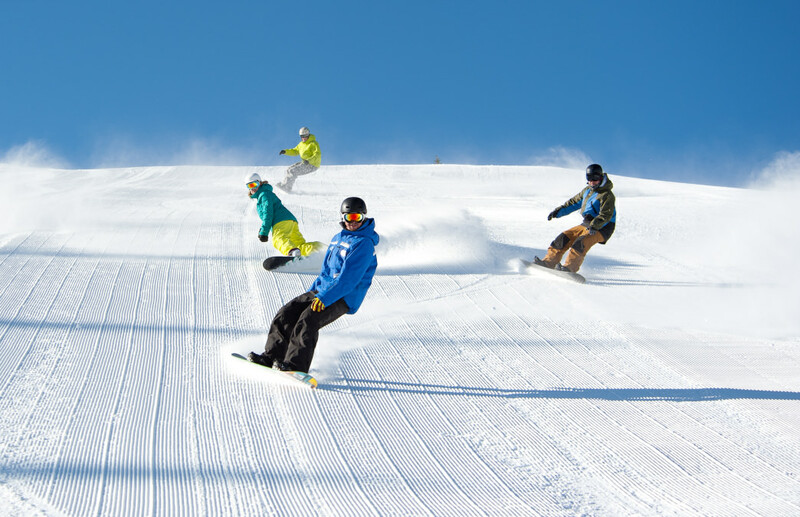 Here are some insider tips on how to get started snowboarding. The better your gear, the more comfortable you will be on the mountain. Keeping warm and dry is the name of the game in the mountains and finding that perfect spot between too hot and too cold is what you should aim for. A good waterproof jacket and pants, non-cotton base layers, wool socks, gloves, wind buff, helmets, and goggles that are functional in various lights and conditions is a must. That being said, it’s most important to fit your boots, bindings, and snowboard properly so that they are comfortable. If you are renting or buying at a ski shop, the helpful staff can help with all of these aspects. Generally speaking, you want your boots to be tight enough that you don’t get too much movement in the ankle part of the boot. It’s also important to make sure that your toes aren’t too bunched up in your boot. A good rule of thumb is that your toes should barely touch the toe cap when you’re standing up. If you have brand new boots wear them around the house a little before the trip to help wear them in. Choosing the right board has a lot to do with your height, weight, and size. When you are first starting out, go a few centimeters shorter than what you would ride at an intermediate-expert level, which can range anywhere from your chest to eye level. Once you have your board size, the width is the next factor. If your feet are on the bigger end, you may want a wider board. Snowboards also come in different styles for different types of snowboarding. Twin shapes with soft or medium flex are perfect for beginners because they are symmetrical (the nose and the tail are the same shape/size), which is helpful when you’re learning to stand and turn on a board. Your stance is something that you can help with at the store and then fine-tune with a ski instructor, but most beginners want is a centered stance with the front binding at a positive angle of +15 and back binding anywhere from 0 to about -15. 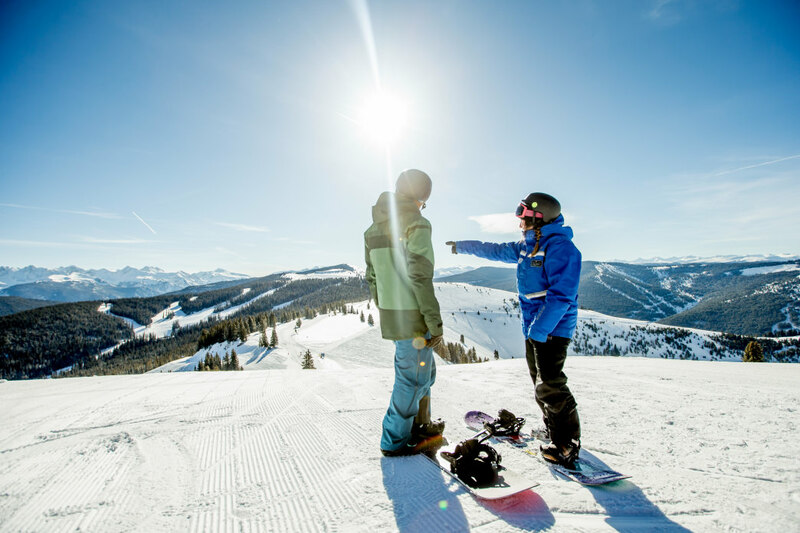 Of course all of the factors that go into setting up your board can change, but this is a good starting point to have an idea of what you are looking for when beginning on your road to becoming a snowboarder. 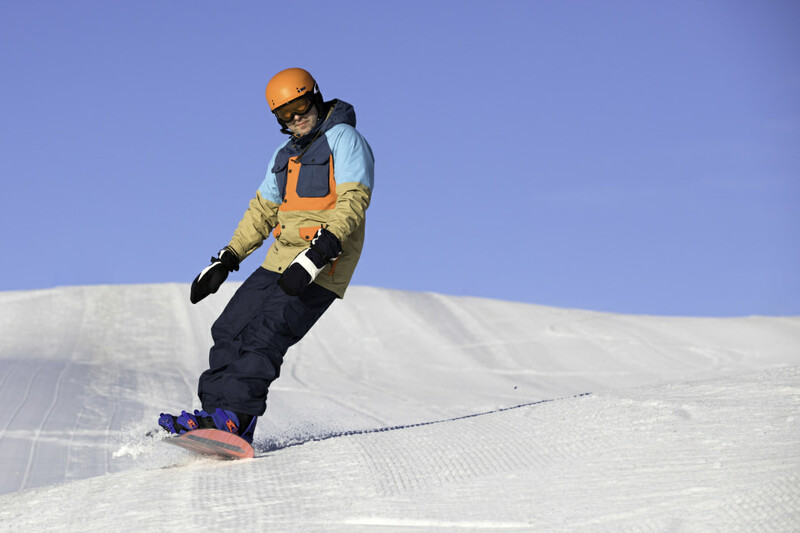 Getting in shape before trying out snowboarding can reduce your learning curve. While not required, getting in shape before you even get on a board is a helpful way to make the experience that much easier. Focus on cardio, balance, and getting those legs up to snuff is the plan. Things like squats, planks, push-ups, lunges, and using a balance board will help strengthen your legs and core, which will help greatly when you actually get on the snow. Figure out a routine that works well for you and stick to it! Even if you are an experienced skier, start on the easier trails when you take up snowboarding. As a beginner snowboarder, look for a resort with a good percentage of easy and intermediate trails, as this is where you will be spending the majority of your time. Check the ski resorts’ websites have a trail map and give you the percentages of terrain at each level. 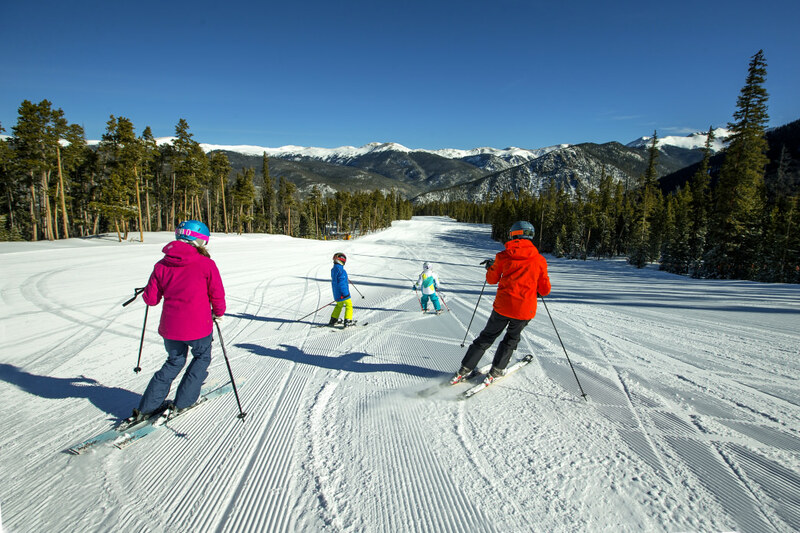 If you’re looking for a full ski town experience, look for ski schools and well as off-mountain activities to do in the area. Remember that it takes time to learn something new. 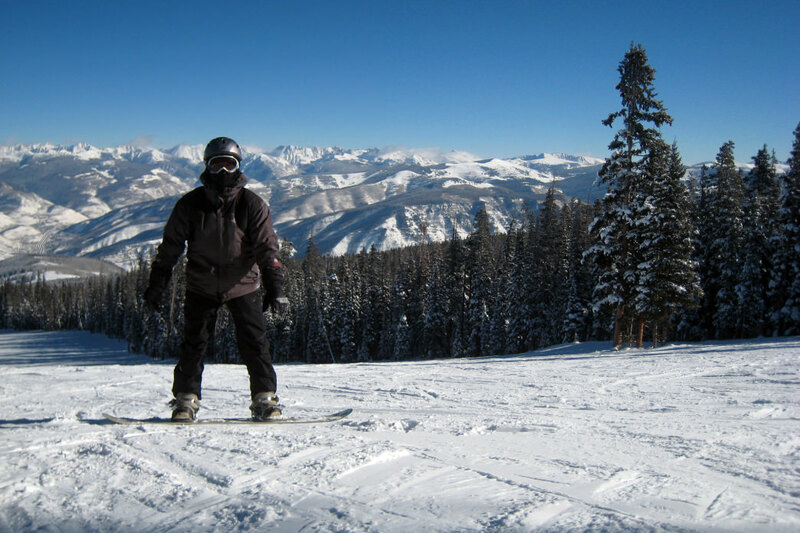 Snowboarding is one of those sports where it is extremely beneficial to learn the basics from an instructor. If you’re on the fence, take a lesson and learn the foundational skills. Get used to being on the board and how to get on and off the lift. Once you get to that point where you are making turns, your skills will naturally evolve. Ski resorts are rather accommodating and can usually provide group or private lessons upon request, and if you book in advance, there may even be some discounts available. The bottom line is that if you go into the experience with a positive attitude and an open mind, you’ll be cruising down the mountain in no time.